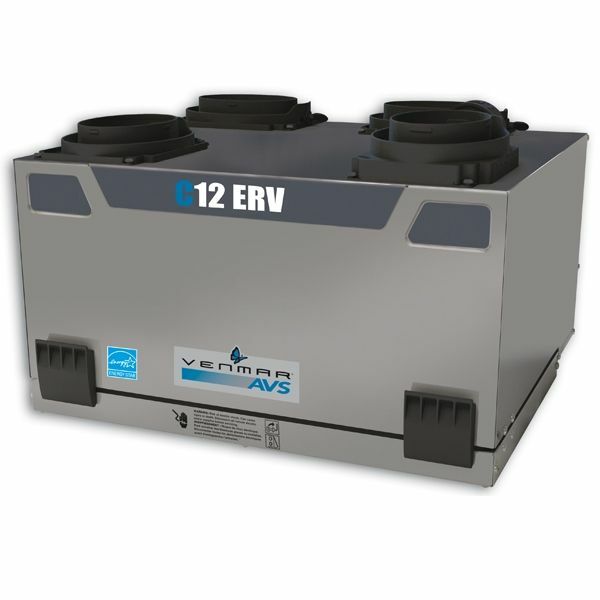 The C12 ERV combines performance and versatility! 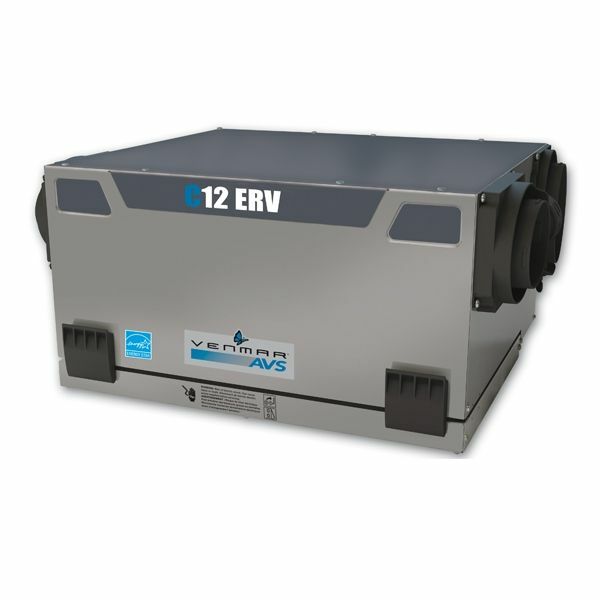 The new 120 CFM C12 ERV is HVI and ENERGY STAR® certified*. This powerful, versatile and efficient unit is the perfect choice for small single family homes, residential towers and other small-area residences. The unique ERV core of the C12 ERV is reducing the air conditioning and heating loads during summer and winter respectively. This unit is coming with a 5-year warranty on parts and energy recovery core. The C12 ERV has a low profile construction for ceiling mount in closet or above hot water tank. The installation is fast and versatile, thanks to the selection of vertical or horizontal ports models. The Patent balancing system eliminates the need for an external flow meter and reduces installation time. NOTE : the C12 ERV remplaces the Constructo 1.2 ERV.